Marriott International announced that its guest reservation system has been hacked, and the personal information of approximately 383 million guests could be compromised. Due to the number of people potentially affected, this could be one of the largest data breaches that has occurred in recent history. In September, Marriott, which recently acquired Starwood properties, received an alert from an internal security tool regarding an attempt to access the Starwood guest reservation database in the U.S. Upon further investigation, Marriott discovered that there had been unauthorized access by hackers through the Starwood guest reservation database system since 2014 – per their press release. The Starwood properties include: Sheraton, W Hotels, Westin, Le Meriden, Four Points by Sheraton, Aloft, Ritz Carlton, Renaissance and St. Regis. Unfortunately, this is not the first hotel that has experienced a cyber-attack similar to this. Both InterContinental Hotels and Hyatt Hotels were victims of a data breach last year. – If you receive a breach notification letter, consider using the free monitoring by WebWatcher that Marriott is providing for one year. – Contact the Identity Theft Resource Center to speak with a victim advisor who can help you with your concerns. They are available via their toll-free number at 888-400-5530 or through our livechat feature, which is available on idtheftcenter.org. – Check your credit report by going to annualcreditreport.com, which provides a free copy from each credit reporting agency every year. It is strongly recommended that those that think they may have been compromised place a free credit freeze for added protection. – Monitor your financial accounts for any fraudulent activity such as banking statements, credit cards, utilities, etc. – Keep an eye on your email and mail about this data breach or any potential fraud that could have been caused by it. – Be on heightened alert for any phishing attempts or scams that are attempting to obtain your personal information over the phone or by getting you to click on a link in an email or text. Do not click on a link in an email if you’re not positive it’s from Marriott (they will be sending from the address starwoodhotels@email-marriott.com). – Marriott will reimburse new passports for users who can prove they’ve been victims of fraudulent operations where the passport number was involved. 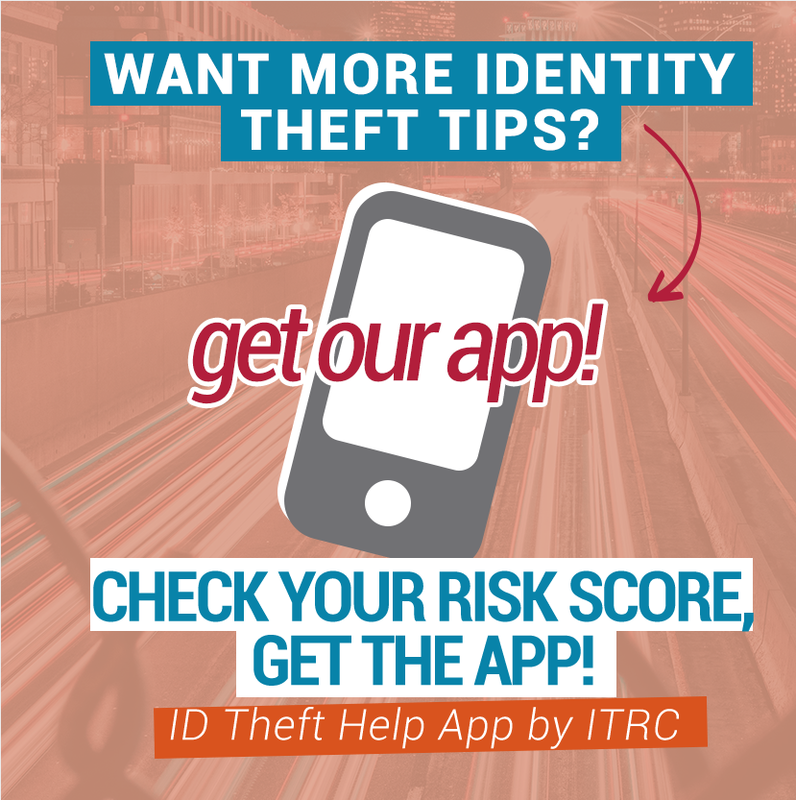 The Identity Theft Resource Center® (ITRC) is in no way affiliated, associated, authorized, endorsed by, or in any way officially connected with the Marriott. All information pertaining to this breach is taken from Marriot’s breach notices available to the general public. All tips and recommendations are based solely on the information that Marriot has released to the public. All tips and recommendations are solely the opinion of the ITRC and do not reflect Marriott’s opinion or instructions to affected consumers.